Filing for bankruptcy will result in a major dent on your credit score, but it doesn’t mean you can never apply for a credit card again. Yes, receiving approval will be considerably harder, but the policies vary by lender and each creditor has its factors that determine your eligibility that include but are not necessary limited to your income and the amount of time that has passed since your bankruptcy was resolved. To illustrate, Capital One provides a secured card that states an applicant is not eligible if he or she has what’s called a “non-discharged bankruptcy”, which essentially means a bankruptcy that has yet to be resolved. Unfortunately, the criteria among issuers remain fuzzy, and the only way to know whether or not you’ve been approved is after a hard credit pull that will lower your score by a few points. 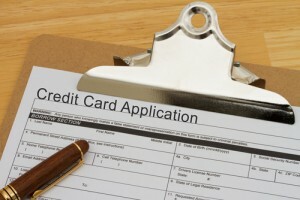 If you are planning on applying for a credit card post-bankruptcy, however, a secured credit card may indeed be your best bet as these cards are intended for individuals looking to boost their credit. Unlike a normal credit card, you must have the money available to put down as a security deposit which translates to the amount of credit you’ll have available. This card differs from a prepaid debit card in that the funds you’ve put down function as a backup should you not pay your bill. Keep in mind that a credit card issuer may still deny your application, even if it’s for a secured credit card. If you think your bankruptcy may affect your chances, your local credit union is another viable option as they tend to be more lenient than larger banks.